This set of earring charms are a one-of-a-kind design with a meadowlark lovingly watching over her nest. 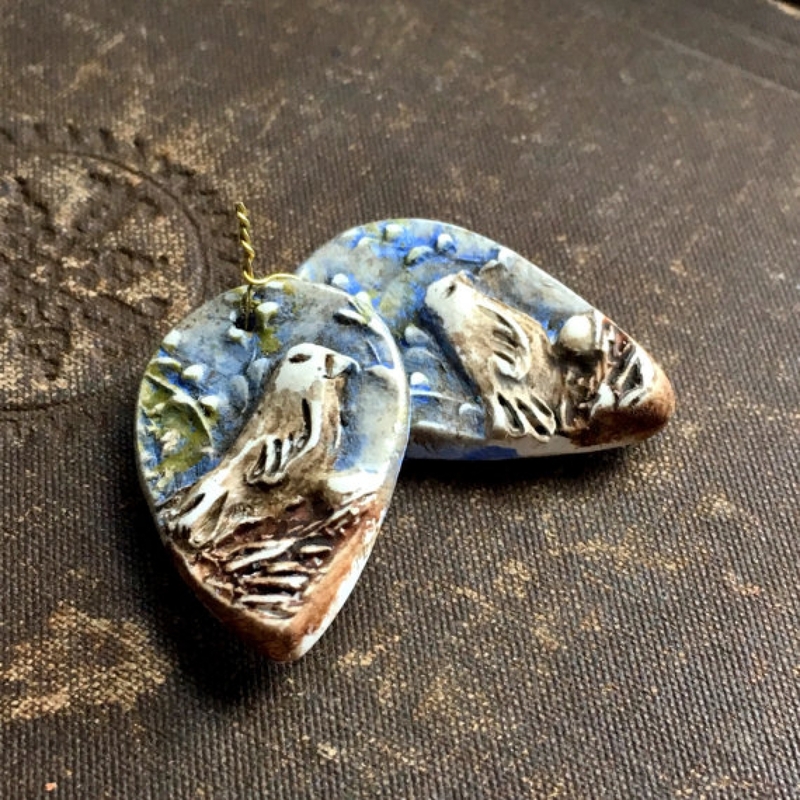 The polymer clay charms started out from an original sketch, was hand-carved and painted for a watercolor effect. The paint is sealed with a protective finish. The charms measures 1 1/4" long, 5/8" at the widest part and 3mm thick. A hole is drilled at the top of the charm.